Steve Kiernan and Mark Wagner help sort used clothing donations. Photo courtesy of LHM. 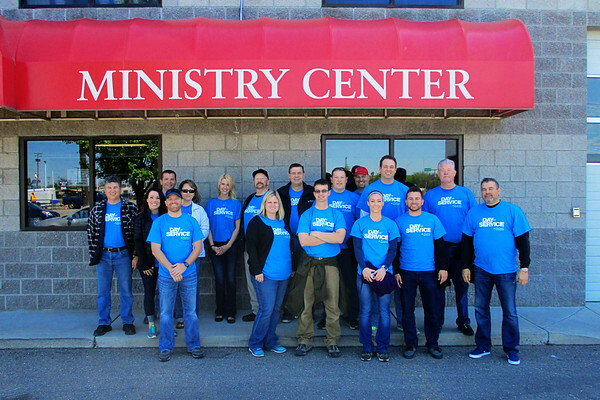 A portion of the Larry H. Miller team at the Boise Rescue Mission’s facility. Photo courtesy of LHM. Kim Fox and Cody Green pack small hygiene kits that included travel-sized soap, shampoo, conditioner, bandaids and more. Photo courtesy of LHM.